Front desk is open daily from 8am - 8pm. 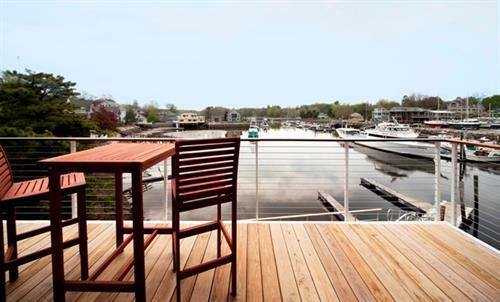 The Boathouse Waterfront Hotel offers a prime waterfront site on the harbor side of the Kennebunk River, just steps from Dock Square in central Kennebunkport. The impressive structure is comprised of 25-guest rooms; 12 in the Main House and 13 in the Wharfside building. 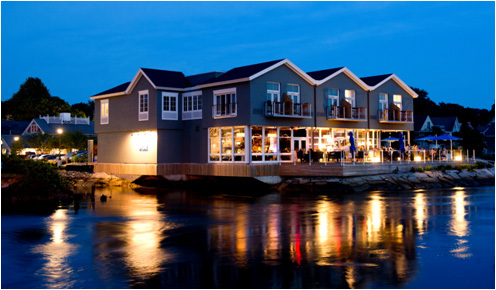 With panoramic windows, private balconies, and an expansive outdoor deck, The Boathouse is the newest waterside social haunt in Kennebunkport. 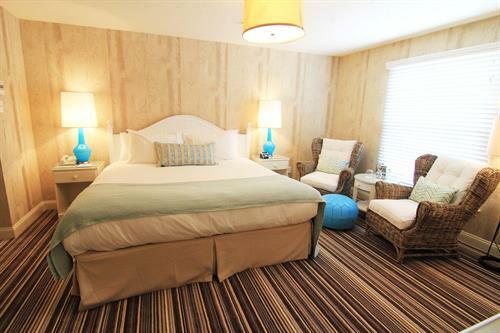 Guest rooms exude warmth and elegance with custom headboards, mahogany cabinetry and rich geometric carpeting. Generously over-sized windows and private balconies with cozy seating encourage guests to enjoy a good book or soak up the sweeping views. 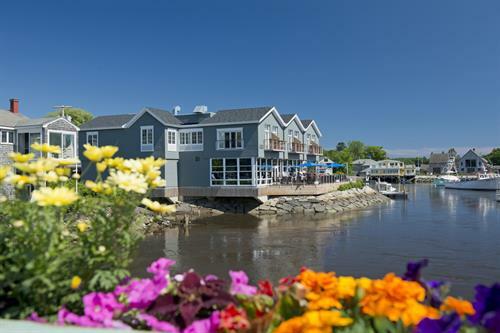 Across the River Bridge, Wharfside rooms offer more of a Maine cottage-feel with white furniture, hardwood floors and cool tones of blues and greens. 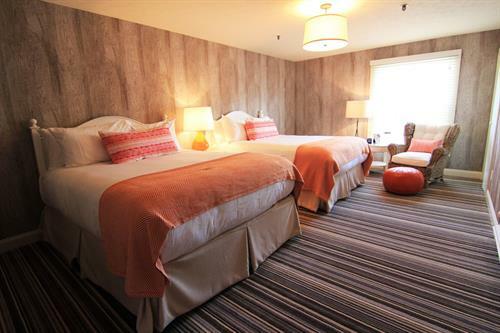 Thoughtful in-room amenities include Maine-made Cuddledown bedding, Turkish bath linens, and iPod docking stations. Just steps from town, The Boathouse offers easy access to Kennebunkport's collection of shops, boutiques, restaurants and the beach. The boat 'Striker' for those wishing to fish Maine's bountiful waters, also reside at The Boathouse. Take I-95 to Exit 25 for Kennebunk/Kennebunkport, follow Rte 35 East to Kport. Turn left onto Rte 9/Western Ave, cross bridge, turn right on Ocean Ave, hotel on right.